The weather has been beautiful in Connecticut this summer, but several recent cool nights signal a change is on the way. Poets love to celebrate the seasons, and many wonderful poems sing the praises of autumn. Today I’m sharing a poem from Firefly July, (Candlewick Press, 2014), Paul B. Janeczko and Melissa Sweet’s gorgeous new anthology. 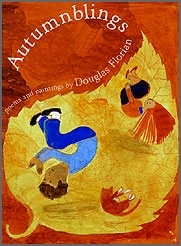 There are several wonderful poetry collections for children specifically about fall. My favorites include Autumnblings, (HaperCollins, 2003) by Douglas Florian, and Autumn: An Alphabet Acrostic (Houghton Mifflin Harcourt) by Steven Schnur. Both books are perfect to use as mentor texts for young poets. Be sure to visit Jone at Check It Out! for the Poetry Friday Round Up. 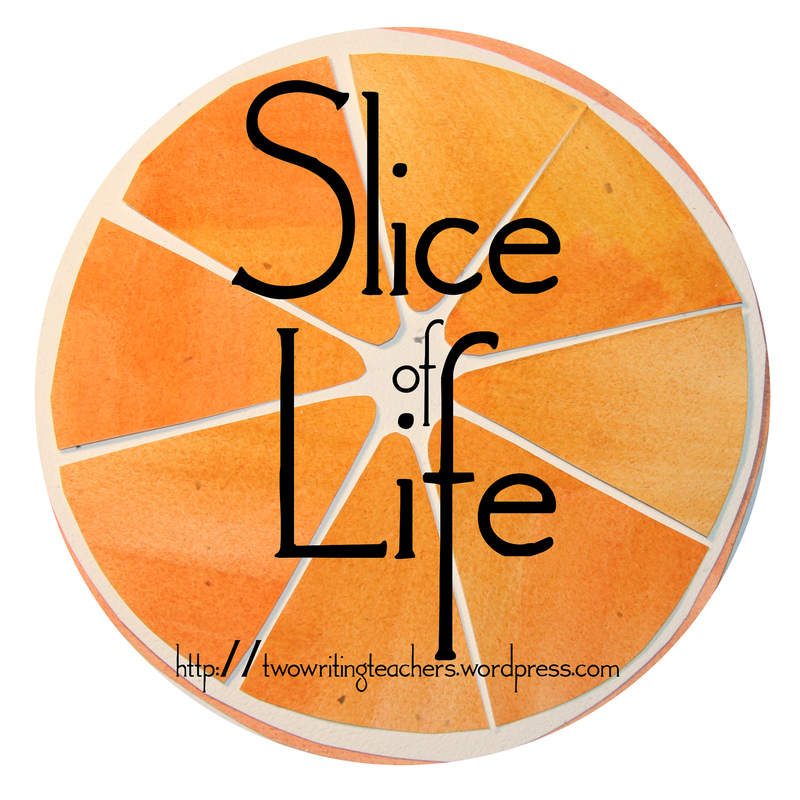 Slice of Life: This Post Is Not Perfect! I thought about starting a blog for at least two years before I finally took the plunge with Reading to the Core. Many questions plagued me before I started. What would I write about? Would anyone read my ramblings? But the loudest and most persistent question was this: What if it’s not perfect? Perfection paralysis (not my phrase, but I can’t remember where I first read it), I’ve since discovered, is quite common among writers and bloggers. And it seems that teachers with blogs are the most seriously afflicted. Many teachers are perfectionists to begin with, and the thought of sharing a piece of writing that might not be perfect with the whole world is sometimes more than we can take. Here’s the thing about perfection paralysis, though. Paralysis is not a good thing. We are meant to move and learn and grow. This lesson has played out in my life a number of times over the last year, most recently during my week at the TCRWP Reading Institute. 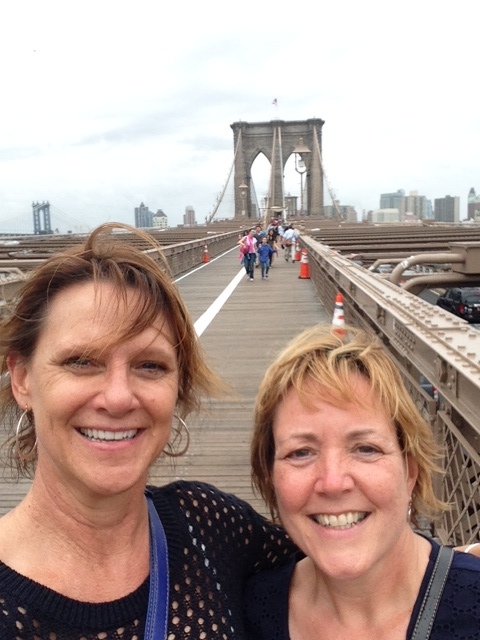 Last week I shared the story of my trek over the Brooklyn Bridge with Dayna Wells. When I got back to my hotel that night, it occurred to me that our adventure was an apt metaphor for the situation many teachers find themselves in these days. Neither of Dayna or I had ever been to the Brooklyn Bridge, and the windy, rainy weather was less than perfect. But we ventured out anyway. We took a risk that paid off not because we were lucky, but because we set ourselves up for success. First of all, we were together, supporting each other along the way. We had several tools at our disposal, namely the apps on our phones. We did head off in the wrong direction at the start, but our instincts helped us realize our mistake and we quickly turned around. And finally, we had a positive attitude, and set off ready to succeed. Today, teachers around the country are at the foot of the bridge into the future. We have many tools and resources at our disposal to help us on this journey. We have instincts and knowledge to help us know when we veer off the right path. It’s up to us to bring a positive attitude to this challenge; one that will help us when we get discouraged. It’s critical, though, that we support one another along the way. In her keynote that kicked off the Institute, Lucy Calkins urged us all “to lift up the level of the people” we work with. We have to help one another improve our teaching so our students can learn and grow at higher levels. Starting my blog and becoming part of the amazing community of teacher-bloggers on Two Writing Teachers, Poetry Friday, Twitter, and more has lifted the level of my teaching in ways I could never have imagined two years ago. So as we begin a new school year, if you have perfection paralysis about joining Twitter, starting a blog, or even trying a new unit, let it go. You may have a false start, and there will be bumps along the way. But the view from the top of the bridge is spectacular! Unfortunately, many children arrive at school without a sense of the importance of stories. So it is up to us, their teachers, to instill a love of stories and reading in our students, to turn the children in our classrooms into readers. As we get ready to welcome our new students (or reflect on the first weeks of school), here’s a poem celebrating the power of story to enrich and change our lives. 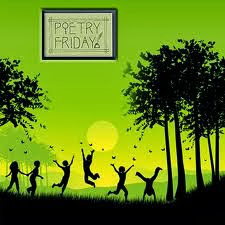 Please be sure to visit Laura at Live Your Poem for the Poetry Friday Round Up. One of the things I miss the most about having a class of my own is the chance to talk with the kids each morning about what they did the night before. I loved hearing about their soccer games, ballet lessons, or time spent with their family. This kind of talk is essential to creating relationships and developing friendships. Unfortunately, in our busy lives, it’s sometimes hard to find time to maintain relationships and friendships we already have, let alone make new ones. But that’s exactly what happened last week when I was in New York for the TCRWP Reading Institute. Fellow slicer and tweep Julieanne knew I was going to be at the Institute and told her friend, Dayna, to look me up. Miraculously, she found me as we were leaving Riverside Church after Lucy Calkins’ inspiring keynote. We agreed to meet at the end of the day and make plans for dinner. We hit it off immediately, and decided to meet again after our sessions on Tuesday. That morning, my section leader, Annie Taranto, mentioned that one of her favorite things to do in the city was walking over the Brooklyn Bridge. This idea appealed to me immediately, and I hoped Dayna would want to come along. She loved the idea. So even though it was windy and threatening to rain, we set off, armed with the apps on our phones and our sense of adventure. We got off the subway at the City Hall station, and proceeded to walk a block in the wrong direction. We soon realized our mistake, turned around, and found the entrance to the pedestrian walkway leading from Manhattan to Brooklyn. Despite the weather, many people were out enjoying the views. The Empire State Building towered over the city to the north. 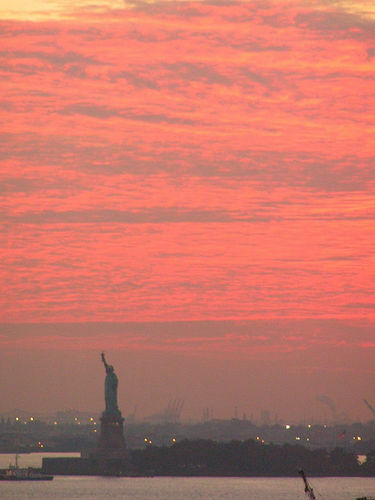 To the south, the Statue of Liberty came into view. Then there was the bridge itself. The distinctive gothic arches of the towers and the web-like steel cables give the bridge a graceful beauty. We peered down onto the cars and trucks below and agreed we were glad not to be sitting in the tangle of traffic beneath us. Without a doubt, though, the best part of the whole evening was spending time with Dayna and getting to know her. We talked about our families, our histories, and our jobs. We shared ideas from the sessions we’d been in that day and talked about books we love. It felt like we were long-lost friends. On the bridge with Dayna, wind-blown but having a great time. By the time we arrived back in Manhattan, it had started to rain and it was getting late. We found a pub not far from City Hall and continued to talk through dinner. It was much easier to find our way back to the subway, and soon we were headed back uptown to our hotels, tired and happy from our trek to Brooklyn and back. Happy to have found a new friend along the way. I have spent the past week at the Teachers College Reading and Writing Project’s Summer Reading Institute. My brain is bursting with all I have learned from my amazing section leaders and the keynote speakers. My senses are overwhelmed by the sights and sounds of New York City in August. My life is richer because of people I have met and friends I have made. It has been a glorious week. How could I possibly choose a poem to share today that reflects my week? By focusing on one small piece of my experience. and a bird’s outstretched wings. If you haven’t read Becoming Naomi León, The Dreamer, or any of Ryan’s other novels for children, read one today. You’ll be glad you did. Please be sure to visit Heidi at My Juicy Little Universe for the Poetry Friday Round Up. Last week I was lucky enough to spend four wonderful days at a lake in northern Wisconsin with my son, daughter-in-law, and her family. 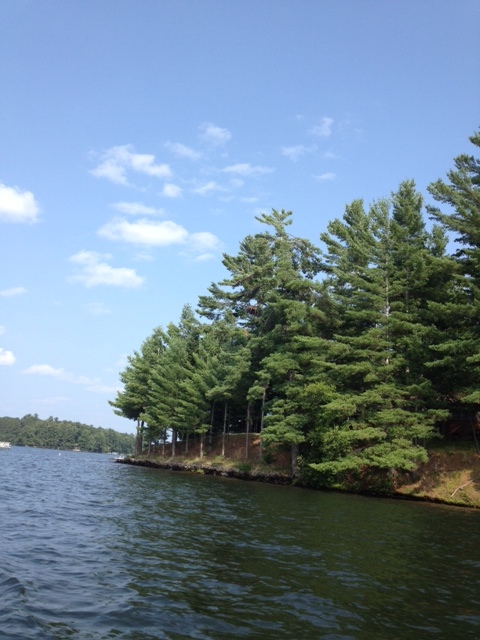 Inspired by the beauty surrounding me, and a poem I read recently by Laura Purdie Salas, I decided to write a recipe poem about my visit to Lake Minocqua. where bald eagles nest and perch. iridescent dragonflies, darting over the surface. 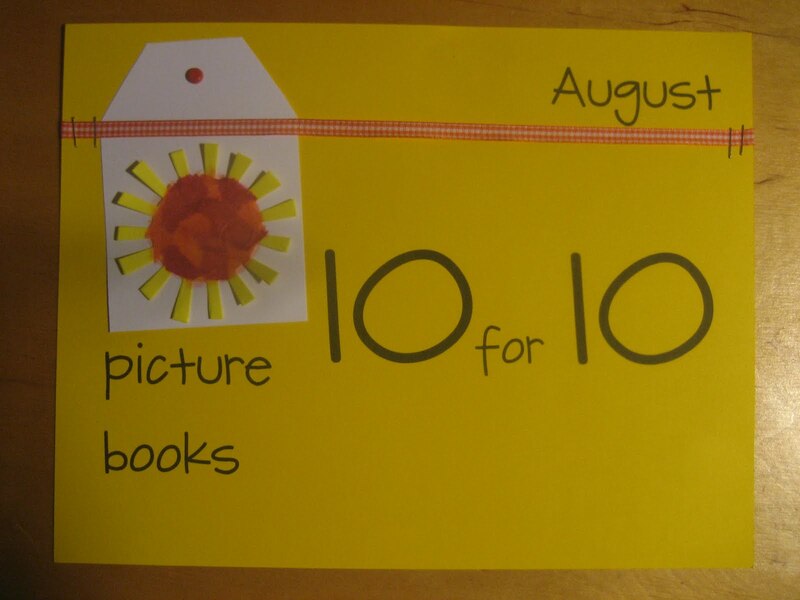 Picture Book 10 for 10 is the brainchild of Cathy Mere of Reflect & Refine: Building a Learning Community and Mandy Robeck of Enjoy and Embrace Learning. During this annual event, now in its fifth year, teachers, librarians, and book lovers create lists of 10 essential picture books. Cathy and Mandy collect and share these lists, and everyone is richer because of their efforts. Be sure to visit their blogs to see their lists, and check out links to other lists. Thank you, Cathy and Mandy, for organizing this celebration of children’s literature! This is my third year joining in the fun. Last year, I devoted my list to favorite books by Jane Yolen, and the year before, I shared favorite wordless picture books. Last month, Jillian Heise and Kim McSorley wrote about their “Top Ten Favorite Picture Book Friendships” for Nerdy Book Club. Their list included many of my favorites, especially several of Mo Willems Piggy & Elephant books, Flora and the Flamingo, by Molly Idle and Deborah Freedman’s The Story of Fish and Snail. But their list got me thinking about picture book friendships from the past, stories that my own children loved when they were small and stories that I’ve shared with my students throughout my teaching career. Here, in no particular order, are some of my favorites. I adore this timeless tale of friendship between a mouse and a whale. I spouted off about this book about a year ago. You can read more about it here. This is a classic boy-and-his-dog tale with a twist. 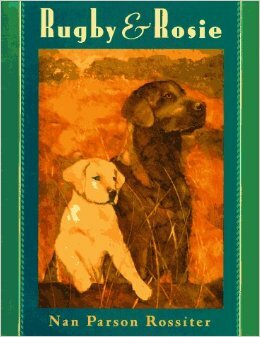 Rugby and the nameless narrator are always together: on the way to the bus, after school, and “he sleeps beside my bed at night.” Rosie, a puppy being trained as a guide dog, soon arrives and quickly becomes part of the family. Rossiter’s story follows the friends throughout the year of Rosie’s training and how the family deals with their sadness after Rosie’s inevitable departure. Alice is thrilled when her mother tells her she can have a dog for her birthday. She finds Bobo at the local animal shelter. When Alice asks her grandmother, Oma, what she should call the dog, Oma replies, “Trouble, Bother, and Nuisance.” Of course Oma’s feelings change by the end of the book and she plays a key role in Bobo’s success at obedience school. 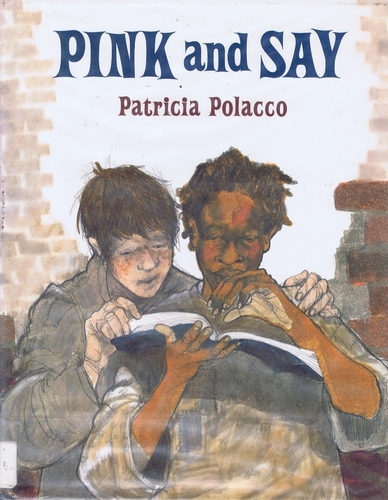 Patricia Polacco is a master at telling tales of friendship, and this story of an elderly woman and her young neighbor is a classic. 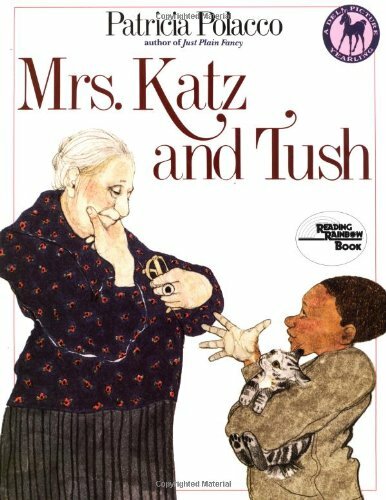 Strangers at the beginning of the book, Larnel, Mrs. Katz, and her kitten, Tush quickly become friends. Larnel learns much from Mrs. Katz about caring, family, and tradition. 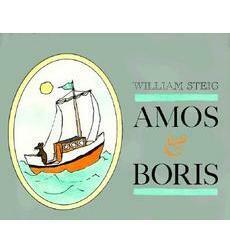 Another classic tale of intergenerational and multicultural friendship. As in many of her other books, Polacco combines illustration with family photographs, which give this book a very personal dimension. Kids love speculating about who’s who in the pictures on Miss Eula’s sideboard. Polacco tells this heart-breaking true story of two young Union soldiers with honesty and sensitivity. At the end of the book, Polacco shares how this story has been passed down through her family for generations. 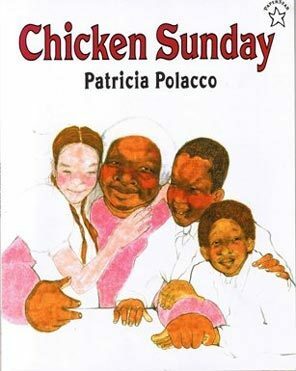 Thank you, Patricia Polacco, for sharing it with us. Is there anyone who doesn’t love Frog & Toad? 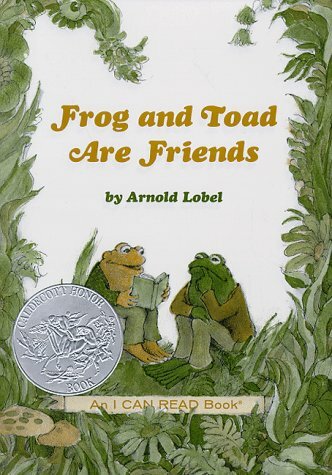 In this perennial favorite, Lobel depicts Frog and Toad weathering the everyday trials and tribulations of friendship with humor and compassion. 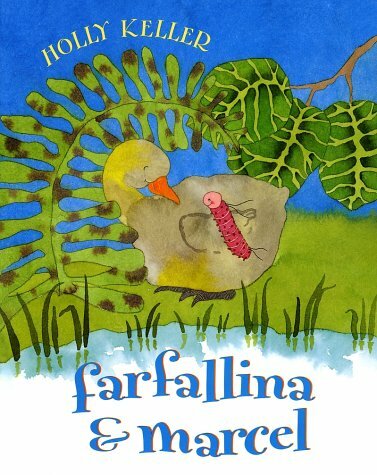 Holly Keller’s gentle tale follows the friendship between Farfallina, a caterpillar, and Marcel, a goose, and how they withstand separation and BIG changes. 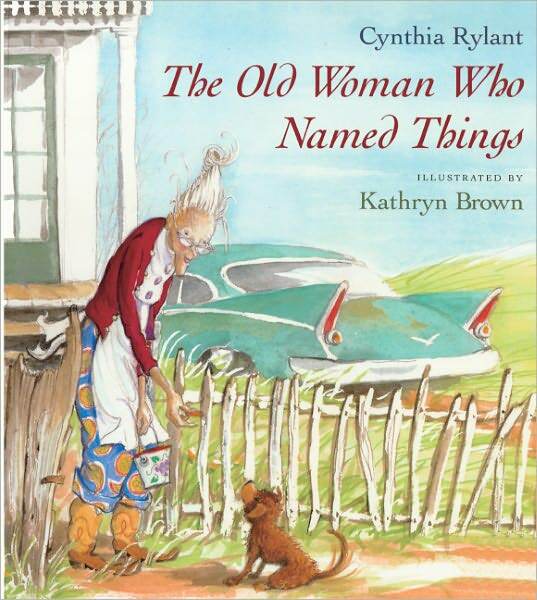 The old woman of the title has outlived all her friends and makes up for her loneliness by only giving names to things that will outlive her. 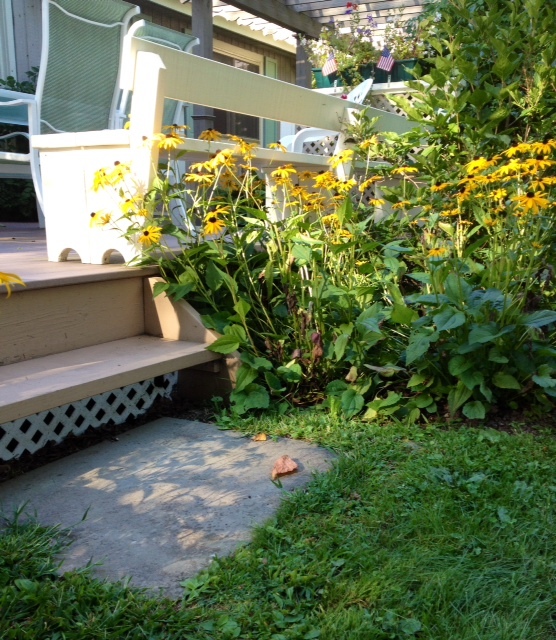 But when a shy, brown dog arrives at her gate, the old woman reconsiders the wisdom of this decision. Rylant explores our universal need for companionship with tender understanding. Poor Wemberly worries about everything. Her family tells her she worries too much, but this doesn’t stop her. Wemberly’s list of worries gets even longer when she starts school. But when she makes a new friend, Jewel, her worries are forgotten. 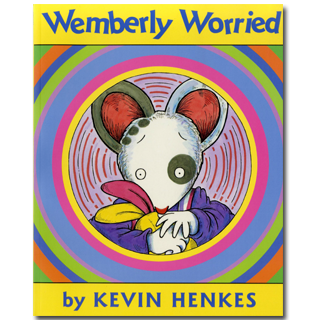 Wemberly Worried is a fine example of Henkes’s mastery of capturing the feelings of preschool and primary kids. There are so many other books I could have included on this list. What’s your favorite tale of friendship?